Stuart brings 20 years’ experience spanning a variety of industry sectors, including not-for-profit, commercial and government entities. 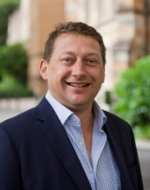 Stuart has a track record in building and transforming operating models for member-based organisations across Australia, and developing sustainable futures through robust control and governance. His former roles include General Manager – Industry Development at Bus Victoria (BusVic) and CEO of the Association of Accounting Technicians (AAT). His experience includes developing advocacy and stakeholder engagement, driving collaboration to unite diverse groups and interests. In his role at BusVic, Stuart established a credible and strong voice at the table for the bus industry in relation to government emergency management and natural disaster planning.